An Urban Garden Thank You! Good Sunday morning everyone! It is a gorgeous day here but it looks as if a cold front is moving in that could possibly bring snow! Yikes! I certainly hope not! I may like snow, but I do not like it in August! Anyway, this is going to be a quick post because I am getting ready to go to our church potluck. I am just waiting for my casserole to finish baking! Anyway, this card is one I made yesterday for Beate's Weekend Sketch challenge. I just LOVE this new Urban Garden dsp. I am not sure I can say that enough! Once I saw this piece in there with the LONG stemmed daisies I just knew I had to use it as my image. The colors in it are so clean and elegant too so I pulled the grays and the baja breeze to make my card. 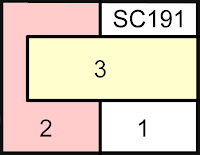 The card base is going gray and the tag is basic gray. I embossed the sentiment using my white embossing powder. The sentiment is from the new Upsy Daisy set. I then tied the Baja Breeze ribbon around the card and stuck the image over it using dimensionals. The tag was then cut out and attatched to the ribbon using using some elastic cording. Basically I love how this card turned out and I do not think the picture does it justice! I love the simplicity of it and have already decided that this card will be going to a dear friend of mine! Well, that's all I have for today! Thank goodness tomorrow is a holiday because I have a lot to catch up on. I am hoping to find time to stamp too! Until then, have a fantastic Sunday! I got my newest SU! set, Flight of the Butterfly, from the UPS man this week and I was thrilled! However, I didn't actually have a chance to play with it until today! My creative juices have been running on low all week due to the fact that school has sapped every ounce of energy out of me so, after so much needed rest, I was finally able to come up with a fairly cute card and I really like the end results! 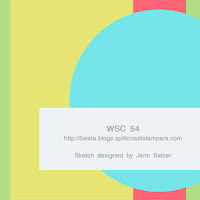 I used this week's SCS sketch challenge to get me started and pulled out some yummy Haiku dsp. I then paired the old olive dsp up with some tangerine tango ribbon and added a touch of so saffron to the mix! What a great color combination this turned out to be! I used my Stamp-a-ma-jig to line up the butterfly images and cut out one layer so that it would look like the butterfly was flying off the card. To give the card a finished look I added some certainly celery brads (I don't have old olive). I can truly say that I love this card so I am a happy girl! I was so frustrated yesterday that I could not come up with anything good to share with you and I felt like giving up completely on this whole stamping bit...ok...maybe not to that extent...but you understand right?!? Luckily, I am much better today. I got my house cleaned, made a few cute cards, and even had time to talk on the phone with my wonderful mom and dad for over an hour! I guess it's been a pretty successful day! Now I am just waiting for my beloved hubby to come home so that I can hug and kiss him! It's crazy how lost I feel when he is gone. I hate leaving the house for some reason. Anyway, sorry for the randomness in this post! I hope that you are enjoying your Saturday! Take care! Alright, here I am, back with my card! :D I actually have two cards to share with you because I couldn't quite get the sketch right. Actually, I never did quite get it how I wanted it, but it's not horrible so I quit. I had a horrible stomach ache last night when I was making these cards so I decided that I needed to stop and get some much needed rest! Anyway, here is the first attempt at the sketch. Of course I can't get the picture to turn out like I want. I forgot to leave room for the ovals! Yikes! I probably could have made it work but I didn't want it to look overly crowded so I just stuck the stamped sentiment and oval on the inside. I just love this image though and had to share it with you! The first time I saw it at Hobby Lobby I just knew I had to have it! I then bought it, brought it home, showed it to my husband and he laughed because he thought it was so funny! :D Anyway, I couldn't pass up the opportunity to share it with you! So, onto the real card. I actually do not like this card NEAR as much as the first one but it actually fits the sketch. I do not have the great SU! oval punches yet so I have to make due with my old (can't remember the brand) punches. Again, horrible picture. The lighting is just awful this morning. Well, I may try and do this sketch again so that I have a card I actually like but we will see what happens. Sorry for the disappointing cards girls. I have just been struggling to find my creativity after a LONG and STRESSFUL week. This new group of kids is extremely challenging so every afternoon when I come home all I want to do is crawl in bed and sleep. I really hope things start to get better because if they don't, it's going to be one long year. Ok, before you leave, you MUST head over to Taylor's blog to see her card! It is just adorable! You also need to check out this week's featured cupcake sampler! This week she picked Nancy who has such a neat style! Be sure to check out Nancy's blog, Paper Smiles! Want to see more??? Sure you do! :D You should also check out the other girls' cards as well! You won't want to miss them! That's all for now! Check back later because I guarantee I will be stamping today! My hubby just left on a camping trip and I have all weekend to stamp and clean! Woohoo! I am looking forward to it, although I will miss him dearly! Actually, I already miss him a lot and he just left two hours ago! Ok, enough of that, take care ladies! Hi Ladies! Sorry for not having my cupcake card ready yet! I apparently left my camera at school so I need to run there and grab it! I will be back in a jiffy! 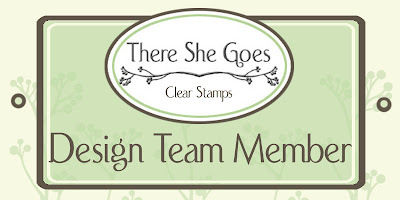 In the mean time, check out Jessica's (fabulous designer for There She Goes stamps) blog! She has a HUGE announcement that should make everyone's day! She has decided to set up a Customer Points Reward Program that is so neat! Check it out! Good morning everyone! I made this card for last week's SCS sketch challenge and am just now getting around to posting it! I made this card using my new Pocket Silhouettes stamp set along with my new Haiku dsp! I think it has such a funky feel and that makes me happy! :D There really isn't a whole lot else to say about this card other than I used my coluzzle for the circles. If you have any questions, just ask! Have a great day everyone! Luckily for me, it's Thursday which means the last day of school for the week! I am really looking forward to the weekend! It's been one long week! Good morning ladies! It is a beautiful, yet chilly morning here and I am getting ready to head for school so this will have to be another quick post. I made this card for the Mother's & Daughter's Creations challenge blog. 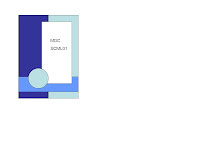 This week they had a fabulous sketch challenge and my new hostess set, Live Life Simply, was perfect for it! I pulled out more of the beautiful Urban Garden dsp along with this fabulous Baja Breeze 1" ribbon! Isn't it just gorgeous??? I absolutely love it and the look it gives a card! I did two step stamping on the image which was something I had never tried before but I really love how it turned out. To finish up the card, I paper pierced the card and stamped the sentiment on the inside. So, what do you think? Have a great day everyone! I will hopefully find some time to stamp tonight so that I have something new to share with you. This is going to be a short post because I need to get to school but I wanted to show you this card I made the other day! I finally used my pacific point card stock and ink and I absolutely love it! It's just a gorgeous color! I watercolored my flowers using watercolor paper, blender pens, and ink pads. I then added some glitter to the flowers and some rhinestone brads for some bling. If you have any questions let me know! Have a great day! So is anyone with me when I say that I am completely in love with the new Pocket Silhouettes stamps from Stampin' Up??? They are just so gorgeous and versatile! I can't get over how amazing they are! Also, for those of you who don't have it, now is the time to because this set is 15% off! Woohoo! This set was at the VERY TOP of my must have list so I was thrilled to see it was on sale too! Anyway, sorry for the ranting and raving, I just had to get that off my chest! Haha! This card came together rather quickly and I really do love the finished look. My husband even said "Wow, that was really fast for you!" Haha! I think it must be because the images are solid so I don't have to worry about coloring them in! Now, I love coloring, but solid images are nice to play with for a change. After looking at this card I have decided that I should have put the Thank You sentiment on it because it would make a great Thanksgiving card. Does anyone else agree with me? I just think the image reminds me a lot of wheat and the colors are definitely fallish. So, that's my card for today! Now I am off to school! Today is the first day for the kids so I am just a tad bit nervous. Wish me luck! Before I say anything, let me just point out that this card does not have a trace of ribbon on it! Wow! It really doesn't have any type of embellishment unless you count embossing as an embellishment! Anyway, I had to use my Upsy Daisy set again for this card just because I can't get enough of it! :D With my last order I also got some glossy glaze enamel so I thought I would test it out! I am not sure if you can really see it in the picture but let me just tell you now, that stuff is cool! Haha! I also used my new Urban Garden dsp on this card and decided to stick with the color scheme in the paper so the card is monochromatic! We have a wedding in September so this card will be perfect! I used Julee's Mojo Monday Sketch challenge for this card and wanted to keep the layout as close as possible to her original sketch and I think I pulled it off! Thanks for another fantastic sketch Julee! Well, that's all I have for today. I have been feeling ill all day so hopefully things start feeling better by tomorrow because I can't miss the first day of school! I will try to get a card posted before I leave in the morning but if I don't, plan on one that afternoon! Have a great night! And she has started her weekend sketch challenges back up! Woohoo! We have missed you and your sketches A LOT girl! :D I did struggle with what to do for this sketch because I wanted to use another one of my new sets. I finally decided to pull out my new SU! hostess (level 1) set which is called "Live Like You Mean It". I just love everything about my set! It has to be my all-time favorite hostess set yet! It is just so gorgeous and versatile! Anyway, I used my coluzzle to cut the circles and punched the edge of my more mustard piece using my scallop edge punch. I then added some of the fantastic riding hood red taffeta ribbon and popped the sentiment up on dimensionals for a finished look. I love how this card turned out. The color combination is just gorgeous! So, that's my card for you! I hope you enjoy it! 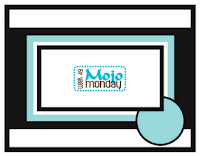 I will be back a little bit later this afternoon with a card I made for Julee's Mojo Monday sketch challenge. Enjoy your Sunday! A Hike Up Hermit And A Card! First I'll share my card since that is the reason you are here! :D I broke out my new Say it With Scallops set from SU! I absolutely love this set because it goes perfectly with the brand new Scallop Square punch! How cool is that?? What to know what makes this set even cooler?? If you buy this set, $2 will be donated to the Ronald McDonald House Charities! If you still aren't sold...hang in there...I will share more creations using this set! :D Anyway, I also used my brand new Tangerine Tango ribbon AND Hawaii Papaya dsp! All of these things combined make a pretty funky card if I do say so myself! Hehe! Leanne and I were looking through all the new paper and we were absolutely LOVING the retro feel that some of this paper has! It's funny though because it's a classy retro feel! :D I love how clean it looks too! Who knew that was possible??? Anyway, that's my card for ya. Now onto the hiking part. Yesterday afternoon Nick and I decided to go up into the Sangre de Christo mountains since he took the day off. Now there are a ton of ways to go up into the mountains so we decided up Hermit Peak since it only takes about 5-10 min to get to the base. There is a road that runs to the very peak of Hermit but it is not one that a regular vehicle could make (very easily) so we had to hike most of the way. Now, since it was late afternoon, we knew we wouldn't make it to the very top so we decided to try to find the waterfall that we had heard so much about. All we knew about it's location was that it was about a half a mile off the road and that it obviously was in an area where the mountain got steep. Haha. Not much to go off huh? Well, we must have been destined to find it because the first trail we tried led us straight there! :) The really cool thing about this area is that there are little streams that run a muck all over the place! We literally had to jump 5 or 6 mini streams until we were at the base of the falls! It was so neat! So, it's not a huge waterfall but it is still gorgeous. Here are a few of the pics that we took! Well, that's all I have to share for now! I will admit that I have TONS of other cards to share since I got so excited about my new stamps that I couldn't STOP stamping! Haha! However, I might not be able to share any more today because Leanne and I are headed for Colorado Springs to the Scrapbooking Expo! We are super excited and can hardly wait! I will be sure to take my camera just in case I see something (or someone) I have to share! Until then, take care! Welcome back ladies! :D Today is Friday so you know what that means! It's time for another one of Taylor's terrific challenges! This week Taylor has a fantastic sketch for us and it is probably one of my favorites yet! I sat down to make my card with an idea in my head and my card turned out exactly how I imagined it! Don't you love it when that happens? I know I do! Anyway, check out this fantastic sketch! Head over to Taylor's blog to see her gorgeous card along with this week's Featured Cupcake Sampler, Lynn Put! Lynn has a fantastic blog too! I used a lot of my new stuff on this card, all of it being SU! I pulled out my Upsy Daisy set and embossed the image with white embossing powder. The dp is from the new Urban Garden dsp and it is absolutely gorgeous! I also added some of the new yummy kiwi kiss satin ribbon! Isn't it just fantastic? It feels fantastic too! I really like how my card turned out. The only issue I have with it is the fact that my embossing didn't turn out so well. Either way I think it has a cool effect. I know Nick liked it A LOT so it must be pretty decent! :D Also, don't forget that right now the Upsy Daisy set is 15% off too! Check out this promotion for more details! Well, that's it for now! I hope you are having a fantastic morning and that it continues to be that way for the rest of the day! Enjoy yourself! has started her own line of stamps called There She Goes and she has asked me to be on her design team! Woohoo! I was so thrilled when she asked me to join her team because her stamps are seriously gorgeous! If you haven't seen them, make sure you check them out here. Now do you want to hear the cool thing??? You can preorder the stamps TODAY at a discounted price! How great is that??? :D Make sure you check the details on her blog if you want more information! Also, make sure you check out the other fabulous ladies that are joining me in this wonderful adventure! I am so excited to be able to work with all of these EXTREMELY talented women! P.S. 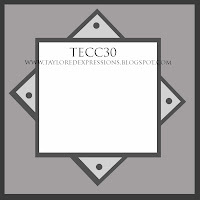 Stay tuned because I will be back in a little while to share today's TECC! It is definitely one of my favorites so you won't want to miss it! A Simple Kind Card And A Challenge For You! ETA: My good blogging buddy Jessica has started her own line of stamps and they are absolutely gorgeous! Right now you can preorder them and get them on sale too! Make sure you head over to her blog to check them out! You won't want to miss them! Can you believe that? I almost forgot to post a card! Sorry about that ladies! I bet you were starting to worry too huh? Hehe! Ok...I know it's late but I do have a card to share! I made this adorable Riley card a while ago for the Hanna Stamps sketch challenge over on the SCS forum! I colored this little guy using my SU! Markers (I know I still need to post a tutorial!) and found this great sentiment from one of the Studio G sets that I received from a stamping friend (I can't remember who though! Help me remember!). I just love how this card turned out! The colors are fantastic together (I pulled the color combination from the new SU! catalog) and really aren't very summery! Hehe. I guess that's ok though right??? Anyway, I guess that's all I have to share tonight! I promise to post earlier tomorrow for you early birds out there so get ready! :D Have a great night and I will "see you" back here tomorrow morning! P.S. I did finally receive my new SU! order yesterday afternoon but I haven't had much chance to play with them yet! Last night Nick and I went over to our friends Leanne and Ryan's house for supper and I brought them along so that Leanne and I could play together! She made the cutest cards and I can't wait until she posts it! It may take awhile though because her internet is down. Make sure you stop by her blog to cheer her up. She is feeling blog deprived! Good morning ladies! Us teachers have to go back to school today so from now on you can count on me getting about half the stamping done that I did over the summer! It's a bummer, I know, but it's life! Haha! I love my job so I really can't complain! Anyway, the elementary kids don't come back for another week so hopefully I still have some time off during this last week. My room is almost completely ready. All I have left to do is finish up some curriculum stuff and get my parent information packets/open house packets ready. Oh...and I suppose I should start planning! Haha! Today will be full of meetings though so I don't plan on getting much of that finished. As promised, here is my card for today's Featured Stamper challenge over on Splitcoast. As I already mentioned, today's Featured Stamper is Jessie (aka: knightrone) and let me just tell you...she ROCKS! I have gotten a ton of my own inspiration from Jessie in the past and of course this card was not different. It was so tough to choose just one card but I finally settled on this one. Isn't it fabulous? I LOVE the colors she used so I had to stick with similar colors. Of course I used Kiwi Kiss instead of Certainly Celery because I am literally obsessed and I love it! Now, I did leave off a couple of layers on my card partly because Jessie has been crowned the layer queen and I need to try and conserve some card stock! Hehe. However, I searched for a stamp that was similar to the one she used and decided that this amazing branch image from the SU! Embrace Life set would look fabulous on it's side! I do love how it looks too. I don't have my new Kiwi Kiss ribbon yet (it will be here Tuesday) so I used some of my white taffeta ribbon. I also decided to replace the paper piercing with white dots on my scallops (I honestly didn't have room for piercing). That was all it took to put this card together! It took me 10 min. tops! Well...after picking which card I wanted to case. That is one of the reasons why I LOVE participating in the Featured Stamper challenge. Casing a card is a piece of cake but it is tons of fun! Anyway, make sure you check out Jessie's blog and then head over to her gallery to pick a card that you can case! You will love it, I promise! Take care everyone and enjoy the rest of your Sunday! ETA: I wanted to let you all know that it did warm up about 10 degrees finally and the sun finally peeked out from behind the clouds! Now I have my window open and a nice cool mountain breeze is flowing through! I love it!